When deciding on a UPS solution, be aware of the UPS type. The SC is an online UPS, meaning its inverter is always “on” to provide new, clean AC power. The SC UPS has an easy-to-use display for quick access to UPS status, battery and load levels – and more. The supplied software supports unattended shutdown and UPS management. An optional SNMP/HTTP agent board is available. Simply rotate the LCD display on a rackmount model to use as a tower UPS. 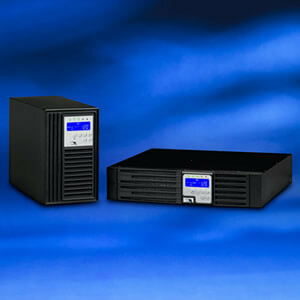 The SC UPS is easily programmable as a 50 or 60 Hz frequency converter. Falcon Electric is a leading manufacturer of reliable online UPS for over 30 years. Our technical expertise assures you find the right solution – the first time.